I spent some time on the weekend drawing with paint. Instead of drawing my subject in willow charcoal and then underpainting in acrylic, I used my brush to paint, hence ‘drawing with paint’. I used oil paint, painting it straight onto a fresh canvas. 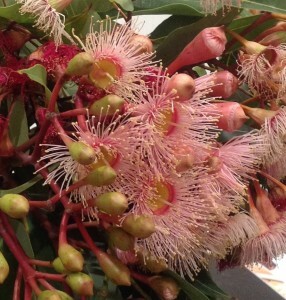 I had a beautiful but wilting bouquet of Western Australian gum blossom. I have always been nervous to paint Corymbia Ficifolia, the red flowering gum. Maybe as they are one of my all time favourite flowers. Anyhow, the result of painting in this way is that a completed signed painting is now hanging in my hallway, within 24 hours. 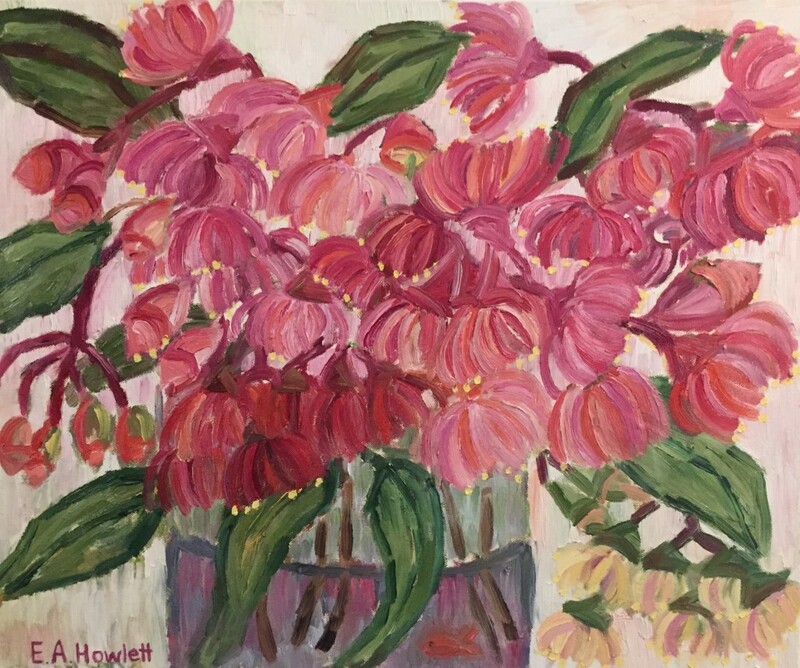 Red Flowering Gum, oil on canvas, Elisabeth Howlett, 2015. A lot of artists paint directly onto canvas, alla prima. My usual process is quite different. I normally spend some considerable time and process preparing a composition for an oil painting. Lately I’ve been spending time trying different approaches to art. It mixes things up and makes it all fresh. Although named red flowering gum, it comes in a host of delightful colours; including hot pink, orange, pale pink, pale yellow and white. The pale ones sound boring but are absolutely gorgeous, eg the pale pink ones have a candy pink rim and very pretty yellow on the inside. I have a lot more photos of this stunning flowering species for possible paintings. I can’t wait to do the next one now! Sign me up for new blog articles!